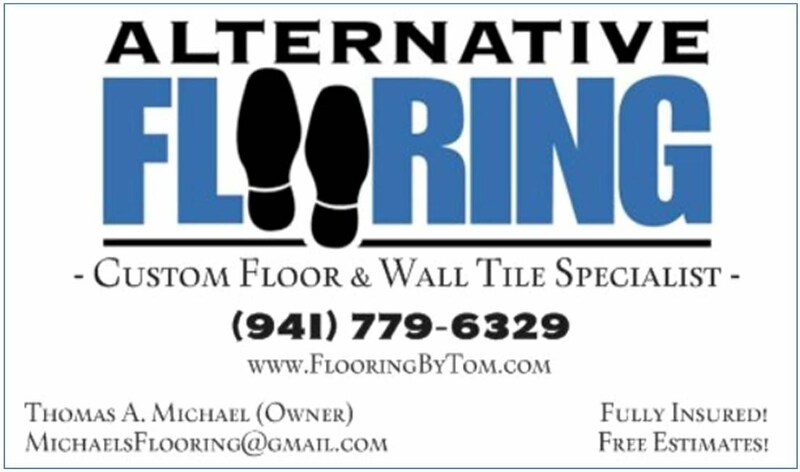 Alternative Flooring provides tile installation for both residential and commercial locations. Whether you are a residential homeowner or a commercial location, we have the insights to make your tile installation project move smoothly to completion. We continue to enhance our knowledge and expertise based on advances in products and their specific applications techniques. This enables us to work efficiently and effectively, minimizing the interruptions for renovation projects, or keeping new installations on schedule. Although everyone sees the final appearance of a finished tile installation, preparing the surface is technically just as important for the long term durability of the tile. At Alternative Flooring, we don't skip steps when preparing the surface for tile installation. Sometimes a customer is not aware of a crack in the concrete slab, or a minor water leak affecting the surface designated for tile installation. It is critical to resolve these issues before tile is applied. -- That's part of the reason so many of our customers are satisfied: because we protect them from potential issues that would likely appear months or years later. 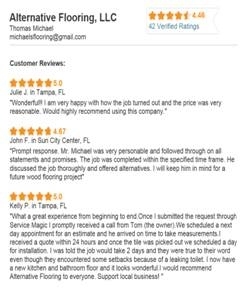 The epoxy grout used by Alternative Flooring master installers is better than standard grout. It has the ability to withstand cracking given the substrates in the product. Again, we use this better quality grout so our customers will be even more satisfied than had we used standard grout.